Not what you were expecting, was it. Usually when I post inspiration pictures they are beautiful, dreamy, the kind of places you have a hard time imagining really exists. The kind of places that do inspire the creativity inside you. 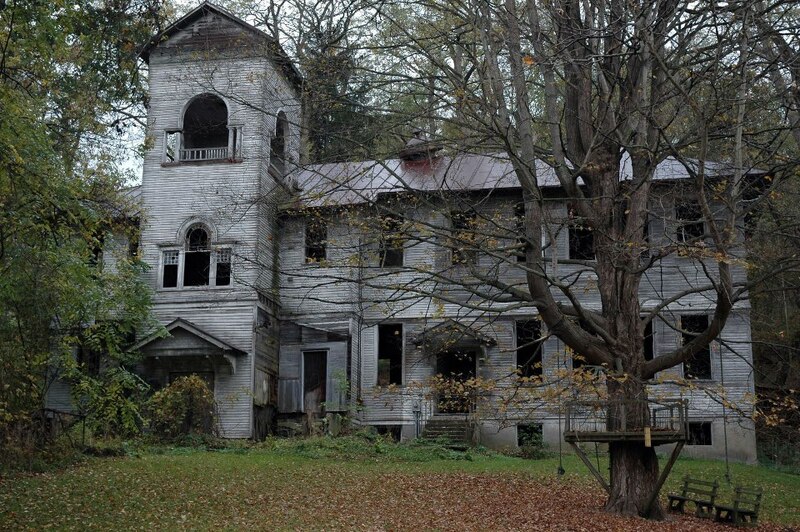 This old house can be just as inspiring, in a different way. 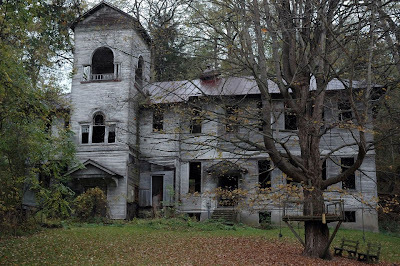 For as long as I can remember I've had a fascination with old, abandoned houses. There is something mysterious about them. And sadness because they are deserted and falling down. The ones I particularly find interesting I've found out in the country, sitting in fields, or deep in the woods, looking so lonely. I try to imagine what the house was like when it was alive with people. And wonder how it got to the state it's in now. How can anyone just up and abandon such a grand house? What looks haunted and dangerous now wasn't always that way. Look at the picture. There were obvious children living there once. Probably a lot of them. So what happened? Back when I was a child I can recall abandoned cars on people's property. Just sitting there, grass and weeds growing up around it, paint faded. If you lived up north that was a common site. The few I've seen today make me wonder, how do people just park it and never go back? I guess what it boils down to is I have abandonment issues. I want the story behind the why. I guess that's the writer in me. I love old houses, I see a house like that and I want to fix it to it's former glory. So if you have abandonment issues cause you like old houses what does this say about me LOL!